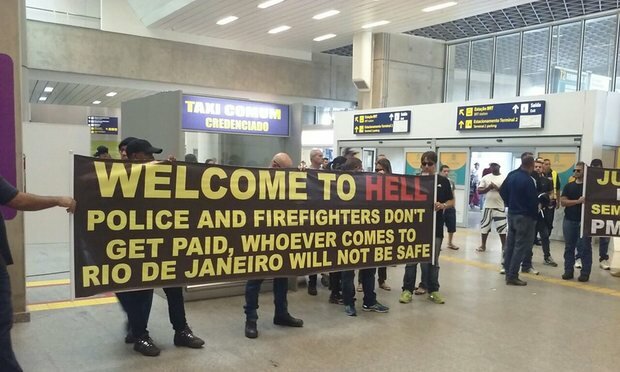 According to the latest Rio 2016 updates on Monday, the visitors to the main airport of the Rio de Janeiro have been greeted with some troubling banner with the words “Welcome to Hell”. This banner was visible for all the people to see which is held by the first responders who were making the protests for their late paychecks as well as poor working conditions. Ahead of the Olympic sports, there have been many concerns in the city regarding the Zika Virus, rush of the city for completing the construction, the pollution in the local inlet have all been superseded with the rising worries. As per one of the spokesman of the police force of the Rio, it is declared that “We are in a meltdown”. 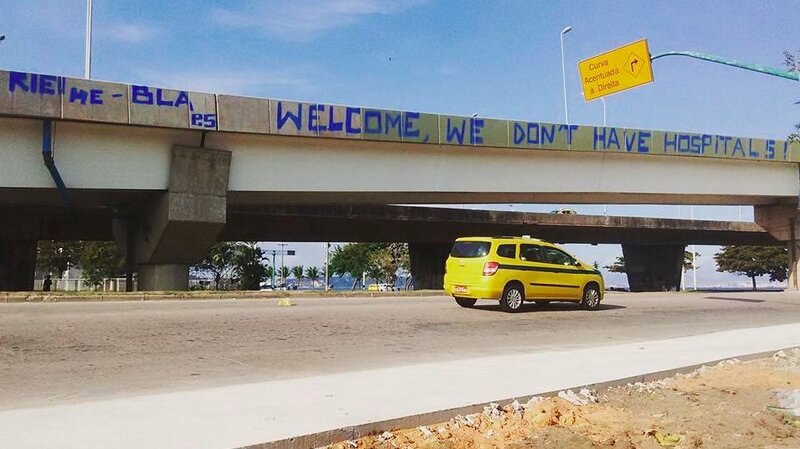 The protests that happened on Monday has started after the state government of the Rio has declared that, the place is in a “state of calamity” which would cause a complete collapse in public security, education, health, environmental management and transport. Now, the Brazil is has been in terrible threats from a failing economy, and right from the World Cup that has been held in the year 2014, the Rio’s city saw rising in the urban violence. These are all the concerns that lead to the protests. 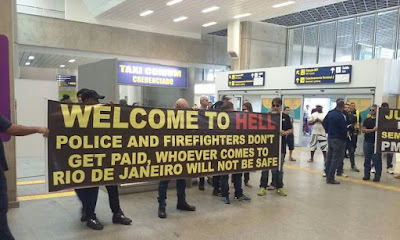 With this, definitely the visitors of the Rio would be feared off and would question about the safety and security in the place and would fell is doubt of visiting the city for Summer Rio 2016 Olympics. Let us wait and watch, how government would react to this.